Agape’s local community outreach programs feed the homeless, serve incarcerated individuals and their families, partnership with community service organizations active in children’s schools and homes for youth at risk, support the arts, and advocate the preservation of our planet’s environmental resources. Agape’s global humanitarian programs provide food programs, retraining programs, schools, libraries, orphanages, hospitals, clinics, homes for unwed mothers, micro-loans, financial support during natural disasters, and human advocacy. Locations range from 8 African countries to Afghanistan, Bosnia, Colombia, Ecuador, India, Iraq, Kosovo, and Sri Lanka. An eminent representative within diverse religious traditions and harbingers of world peace, in February 2012 Dr. Beckwith addressed the United Nations General Assembly as part of its annual World Interfaith Harmony Week. As co-founder and president of the Association for Global New Thought, he had the distinguished honor of presenting to Nelson Mandela the Gandhi King Award. Beckwith is also an international co-chair of the Gandhi King Season for Nonviolence which was launched at the United Nations in 1998 and is active in 900 international cities and 67 countries. About its mission His Holiness the Dalai Lama has said: “Both Gandhi and Martin Luther King are inspiring examples of the power and truth of nonviolence and the actions that arise from them. The Season for Nonviolence is a very good tool to remind us of their witness, and also the large unfinished work we have together in transforming awareness on our planet.” Beckwith served as co-chair of the Synthesis Dialogues 1, 11, and 111 attended by the Dali Lama of Tibet. 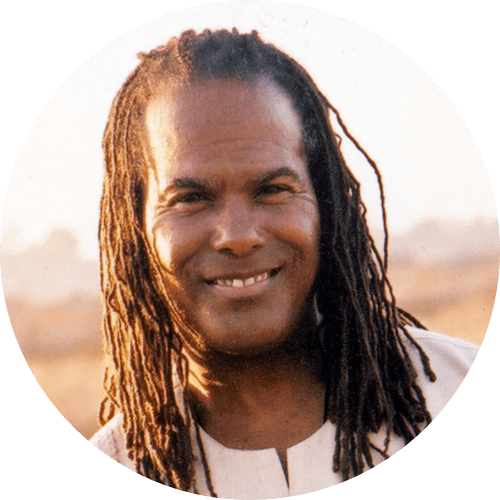 Dr. Beckwith is a sought after meditation teacher, conference speaker, and seminar leader on the Life Visioning Process, which he originated. Three of his most recent books—Life Visioning, Spiritual Liberation, and TranscenDance Expanded are recipients of the prestigious Nautilus Award. He has appeared on the OWN’s Help Desk, Dr. Oz, The Oprah Winfrey Show, Larry King Live, Tavis Smiley, and in his own PBS Special, The Answer Is You. Every Friday at 1 pm PST, thousands tune into his radio show on KPFK, Wake up: The Sound of Transformation.